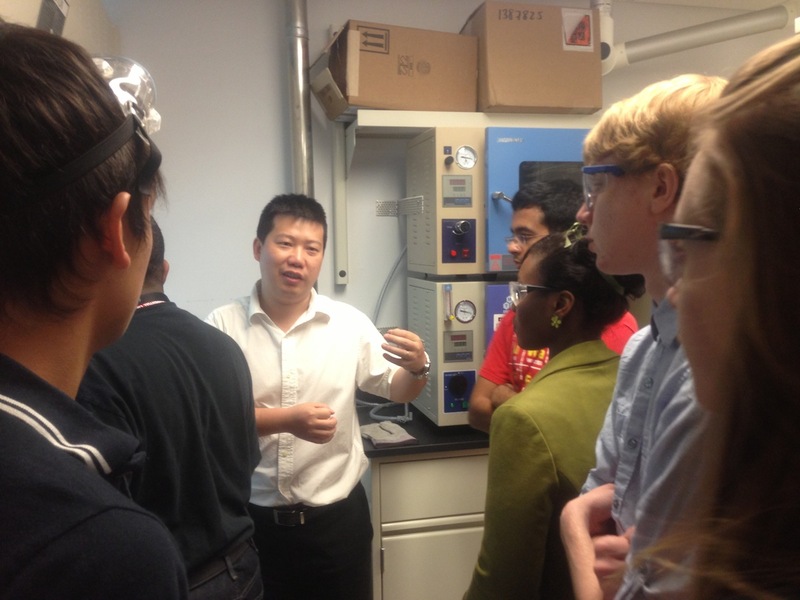 Dr. Yao hosted a lab tour for the STEP Forward Summer Camp. A group of high school students showed strong interests in the fuel cell car and battery demo David Pineda conducted. Dr. Yao led UH first SURF graduate and professional round-table discussion. Dr. Yao served at the table of Materials Science to discuss career interests with SURF students. 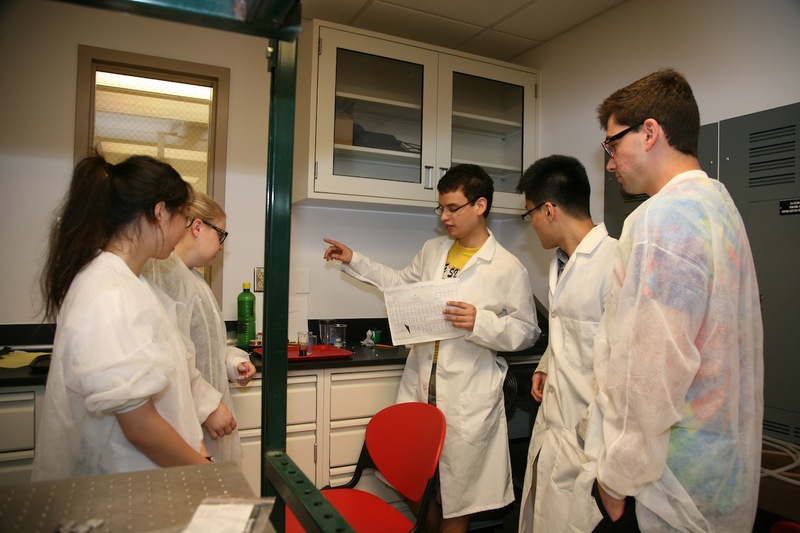 Tiffany Au, Jamie Bassett from St. Agnes High School and Kyle Affeldt from Lansing High School joined the group for a two-week summer research. David Pineda joined the group as a SURF (Summer Undergraduate Research Fellowship – UH) student for a 10-week research. Joeseph Whitehouse from UT San Antonio joined the group as a REU (Research Experience for Undergraduates) student. He will stay in the group for conducting 10-week research. We are very excited to participate the UH effort on 2013 Earth Day! 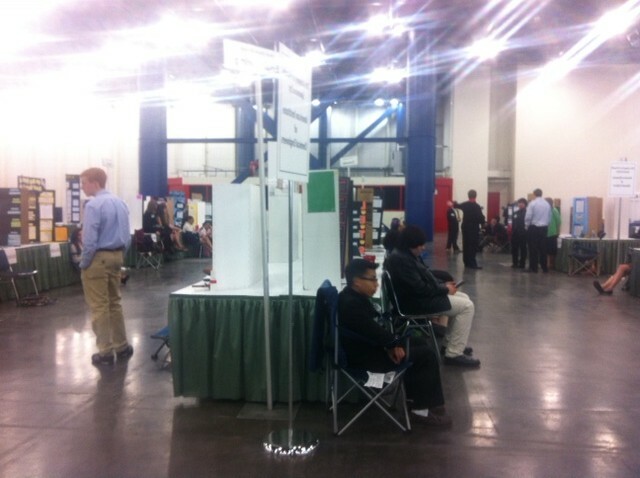 See how we interact with K-12 Houstonians. 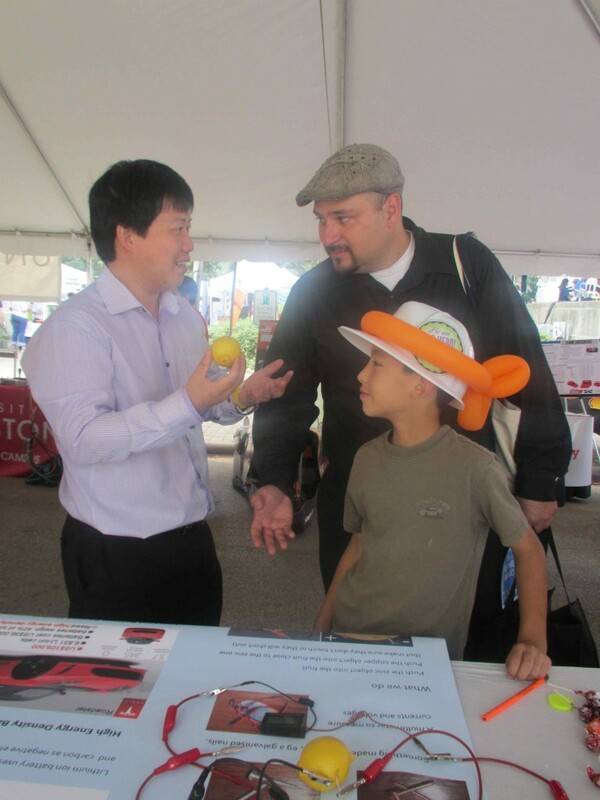 Yao group set up a booth at 2012 Houston Energy Day, demonstrating the fruit battery. Yan Yao served as a judge representing TcSUH for 2013 Science and Engineering Fair.